For those that do not know, Montrachet is an Appellation d’origine contrôlée (AOC) and Grand Cru vineyard for white wine from Chardonnay in the Côte de Beaune subregion of Burgundy. The Montrachet AOC, granted in 1937, is almost equally divided between the villages of Puligny-Montrachet and Chassagne-Montrachet and was recognized as early as 1728 as prime terroir. Both villages added Montrachet to their name in 1879 and this is the only Grand Cru throughout the Côte de Or which has two villages named after it’s vineyards. Montrachet is the most highly regarded region for production of Chardonnay in the world. The wine from the Chassagne side is usually known as Le Montrachet while the wine from the Puligny side is known as Montrachet. 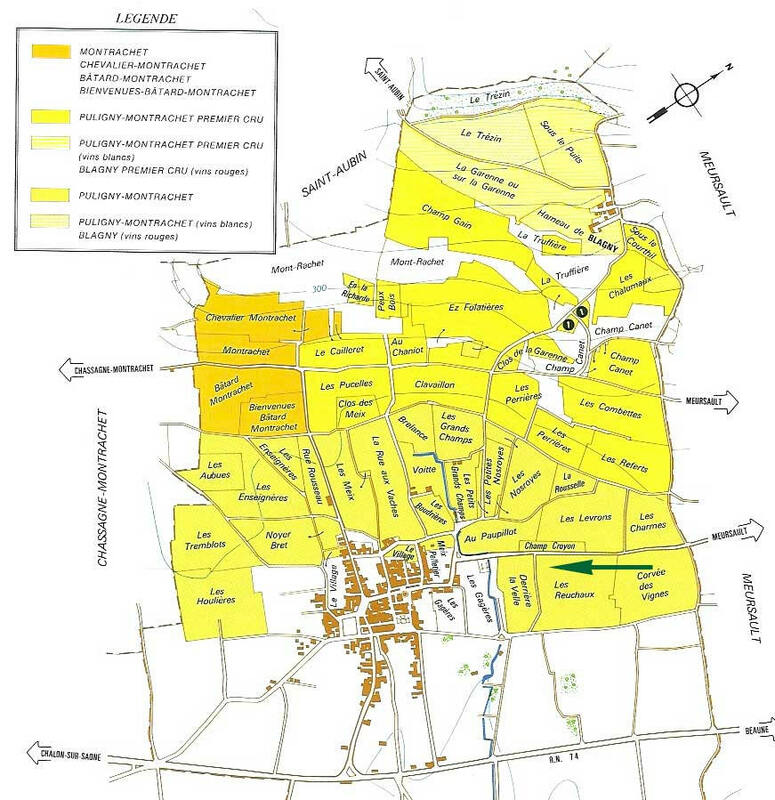 It is only 7.99 hectares (19.7 acres) and like many vineyards in Burgundy, is divided into a patchwork of parcels. Average yields must be no more than 35 hl/L (2.5 tons/acre), though many growers crop at lower levels and harvest late. It has been said that because DRC harvests their blocks of Montrachet so late, their blocks are sometimes guarded by men with guns. You can see who works the various parcels of Montrachet here. The sheer rarity (not taking into account it’s quality) of Montrachet drives it price to heights exceeded by only a handful of wines from around the world, but is without a doubt the most expensive dry white wine in the world. It is one that has all but eluded me. The family of Montrachet includes Montrachet and Le Montrachet as well as four Grand Crus: Bâtard-Montrachet, Chevalier-Montrachet, Bienvenues-Bâtard-Montrachet, Criots-Bâtard-Montrachet. Together these grand cru’s cover 32.37 ha (80 ish acres) and contain important lieux-dits, literally ”said location’, as well. Like Montrachet, though not to the same degree, the rarity of these wines is a reality and therefore the prices are steep. What makes the wines so special? In essence, this family is great because it contains a fault. This is not just any fault, but one of extreme geological importance. The bedrock of Montrachet dates back to the Bathonian era of the Jurrasic and brings together Comblanchin limestone and white Oolite with younger limestone, Pierre de Chassagne, as well as a young marl, Pholadomya Bellona. Speaking of Montrachet specifically, the top soils are poor, gravelly and thin, with red marly limestone because of tufts of iron oxides and high active lime content. The most highly regarded blocks are on a gently sloping gradient of 3%-1% at 255-270m up the hill. Chevalier-Montrachet is more stony than Le Montrachet and this is due to the 15% grade and the gradual slope wash of top soils. 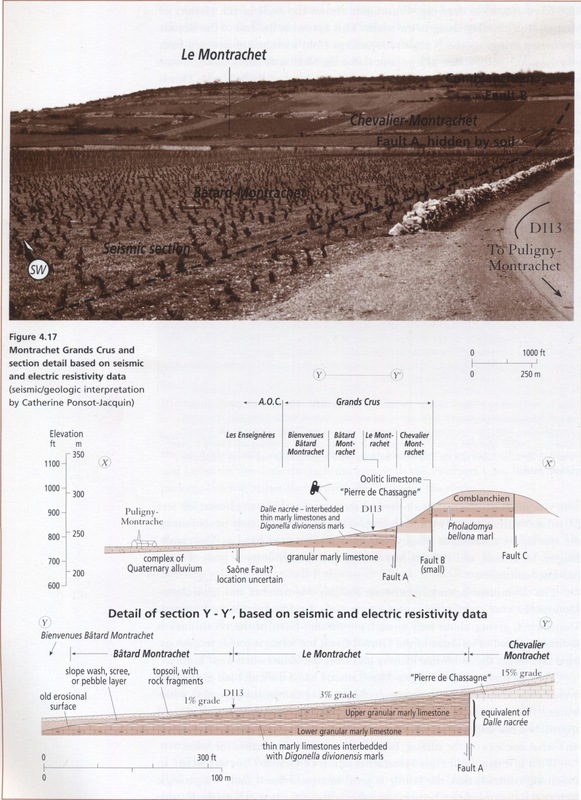 In Bâtard-Montrachet, there is a rapid thickening of the soil due to the slope approaching the major fault zone. Lower portions of Bâtard soils are somewhat damp, suggesting that these vineyards sit atop valley fill with higher water tables, resulting in decreased vitality of wines due to more vigorous vegetative growth. General Wine Styles and Producers as Terroir? In general, Montrachet demands and rewards the most patience. Chevalier-Montrachet is known for finesse and elegance. Bâtard-Montrachet tends to be richer and fatter as well as more precocious. Bienvenues-Bâtard-Montrachet tends to be a bit less weighty than Bâtard. 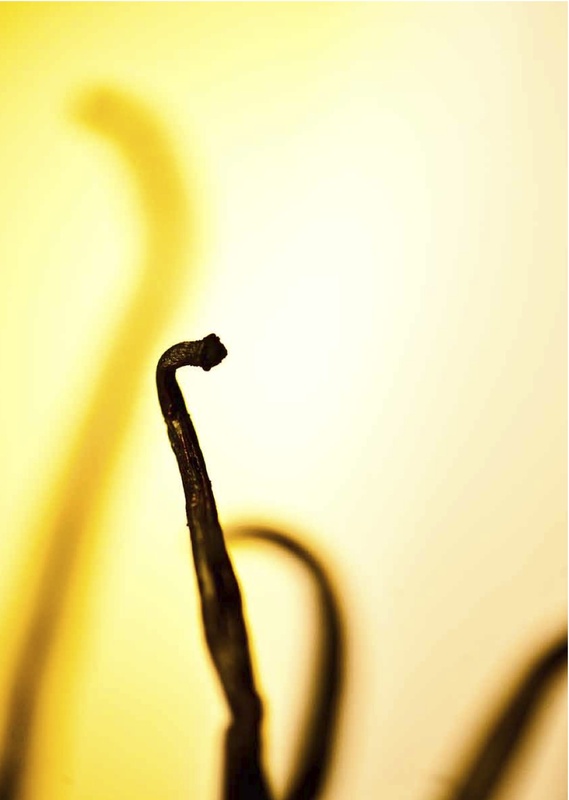 These generalities are widely agreed upon by the most knowledgable tasters, but bring forth a linchpin which, while true for all of Burgundy, is perhaps most essential in the context of wines like Montrachet, Clos de Vougeot or Chambertin. 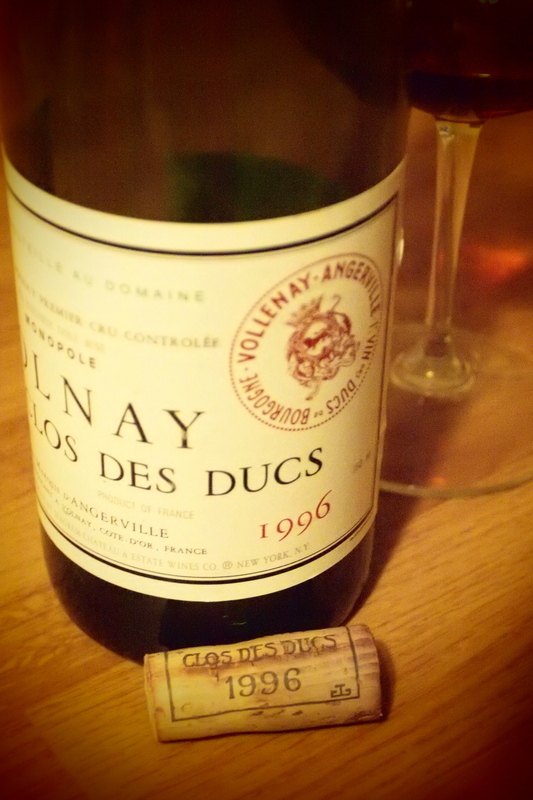 What I write next, may be taken as sacrilege to the well-versed Burgundy drinker. No matter. An important key to truly understanding Burgundy in general, and especially Montrachet, is recognizing that a throughout understanding of terroir (much less generalities of appellation character) must take into account the interface of producer with site, vintage, philosophy and vine. 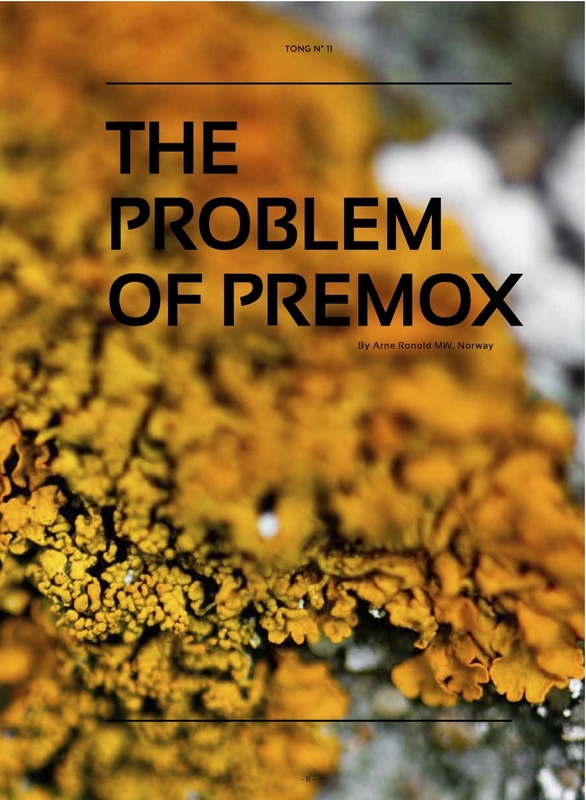 The ethereal idea of terroir must be viewed through the lens of human interaction with site character. Certain viticultural practices, such a leaf stripping and green harvesting, and the intricacies of house-styles can have enormous impact on the character of the wine and on the terroir. Even the most traditional producers make an impact on the quality of wine, on the site-character, even if most are extremely diligent and strive to limit that impact in all regards. No takers? I’m not surprised! That being said, when you are paying as much as one does for a white from the family of Montrachet, I believe that it behooves you to know a bit of producer style and philosophy. At the same time, the average quality of Montrachet and it’s family is high, so if you find yourself staring at a bottle, it doesn’t ‘pay’ to be picky! Open for 6 hours. Pale red, watery rim. Rather thin but youthful boquet. Quite stony, mineral, spicy and floral with some acerola, sour cherry, dried cranberry, iron, anise seed tea, camphor and sandalwood. On the palate the wine seems backwards, tart and chalky with high acid, coffee bean tannins and a juicy finish. Nice floral and herbal earthy intensity, lots of complexity and laserlike precision. Beautiful and bright, if inward. Needs time, hopefully it gains a bit of weight to fill out the layers that are already there.